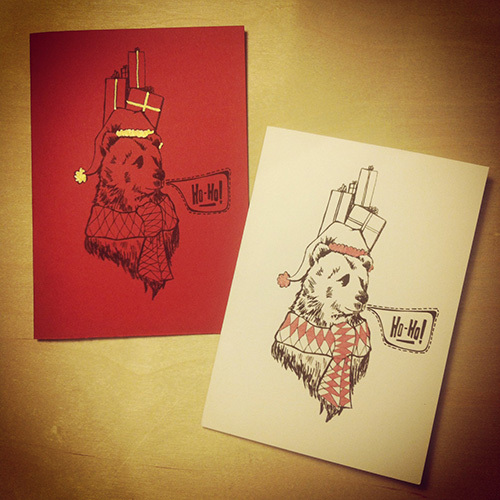 Hand Screen Printed Christmas Card! This year my hand screen printed Christmas card features a bedecked reindeer, sporting Christmas party hat and bauble and a slightly nonchalant manner. 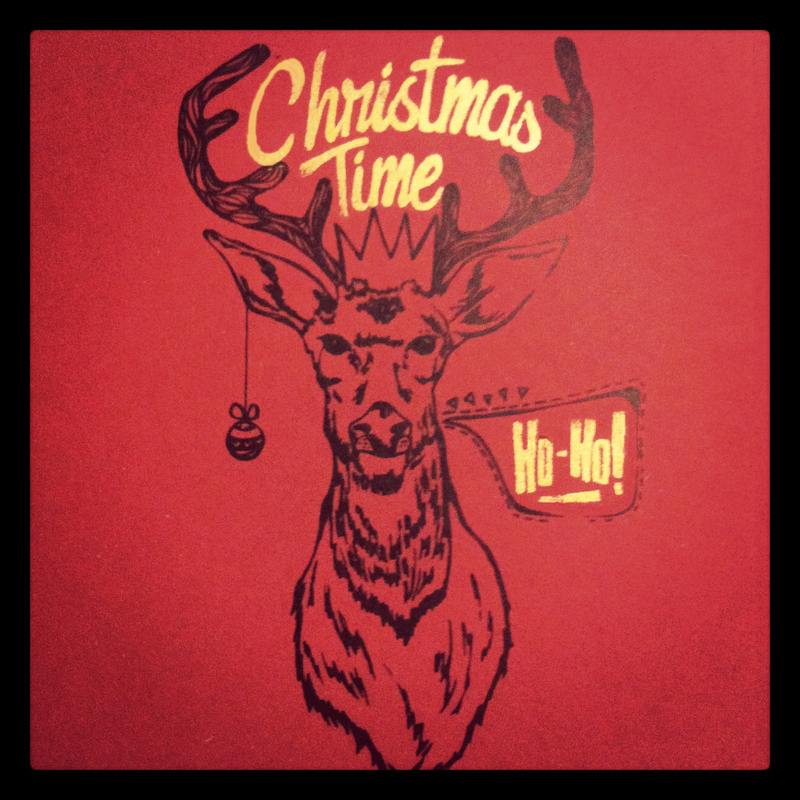 -After all, you don’t need to say much when you have Christmas Time written in gold scripted neon between your antlers. -Happy Christmas to one and all! I hope you all enjoy the break and all the best for a wonderful 2012!